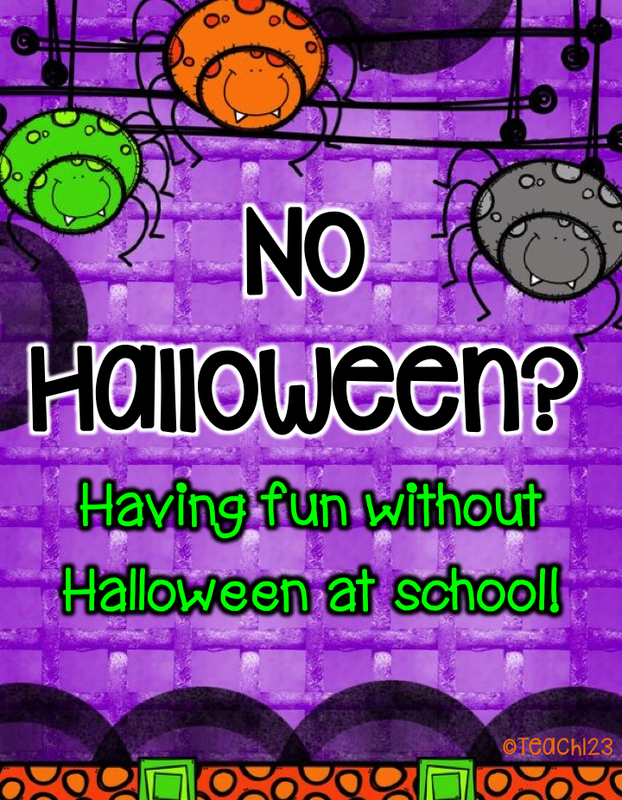 Do you teach at a school that has a policy against using Halloween activities? I’ve taught in a variety of schools with a wide variety of policy about this holiday. At some schools we could use Halloween activities as long as we didn’t include anything scary like witches. Other schools we could use about any type of activity except for students wearing costumes. At one of my former schools, Halloween was a big event. Students went home at lunch and changed into their costume. Many parents took the day off of work. When students returned after lunch, it was time to get ready for our school-wide parade. Students paraded down the hall of the school and around the block of the school. When we returned to our classroom, our room moms had the room decorated for a Halloween party. At one of my schools, we were not allowed to incorporate any holiday into our lessons. The district felt like this was the most sensitive thing to do when you teach students from a variety of cultures. We could use seasonal topics like scarecrows or pumpkins but the pumpkins couldn’t be a jack ‘o lantern. I had mixed feelings about this policy. This policy sounds good when you read the policy as it is written on paper. But, when you are in the trenches teaching little people, it doesn’t work quite as simple as that. Children, even those from cultures and faiths that may not celebrate Halloween, hear holiday music when they are at stores, see their neighbor’s house that is decorated, and hear their friends talking about what they are going to be for Halloween at recess. I found most of my students were excited about Halloween. After a little brainstorming, I found a compromise that seemed to make everyone happy. Listed below are topics that I’ve taught in October that followed the policy, and aren’t Halloween-ish, yet allowed my students to have fun. Social Studies: Community Helpers Unit – Let your students dress up as their favorite community helper. Be very clear with your students that you do not consider a ghost, witch, or vampire as a future career for them. 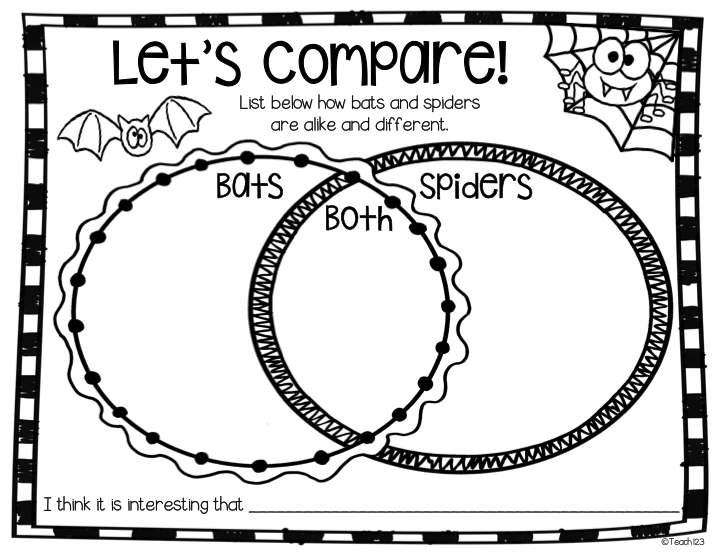 Do you have any ideas to share of how you incorporate non-Halloween activities? I would love to hear them! I made a FREEBIE for you. Click HERE to download it. I laughed out loud when you said a ghost, witch, or vampire can't be a future career! Thanks for all the great tips, this is terrific for new teachers and interns too! Being in a Christian school , I teach the students about the origins or history how it came about. Ie All Souls day in the church calender in case of over zealous parents or give children an option of doing instead thanksgiving as the two celebrations are not that far apart and usually each project takes 2-3 lessons to complete. I live in Australia so it us not so commercially pushed. We are not allowed to celebrate Halloween in our school. Some parents even threaten to not send their kids to school if there were any classes that celebrate Halloween. Boo! As a compromise, we do either a Pumpkin Day or Book Character Dress-Up Day without any references to Halloween.